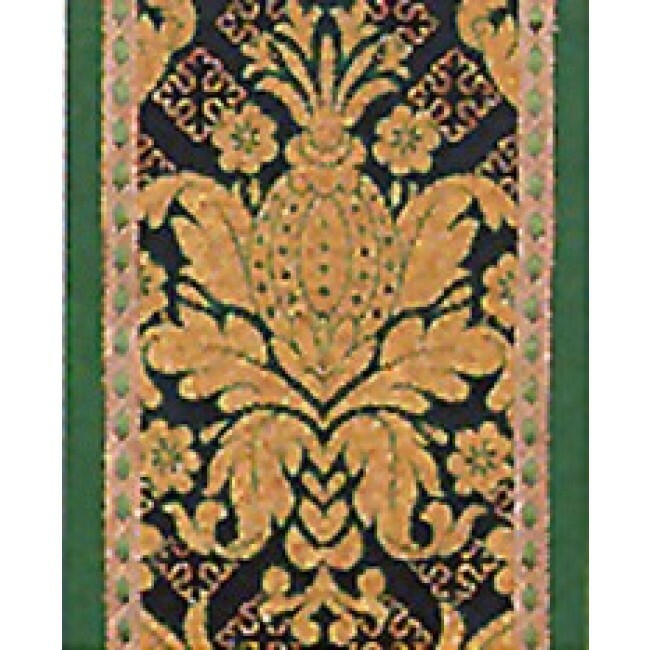 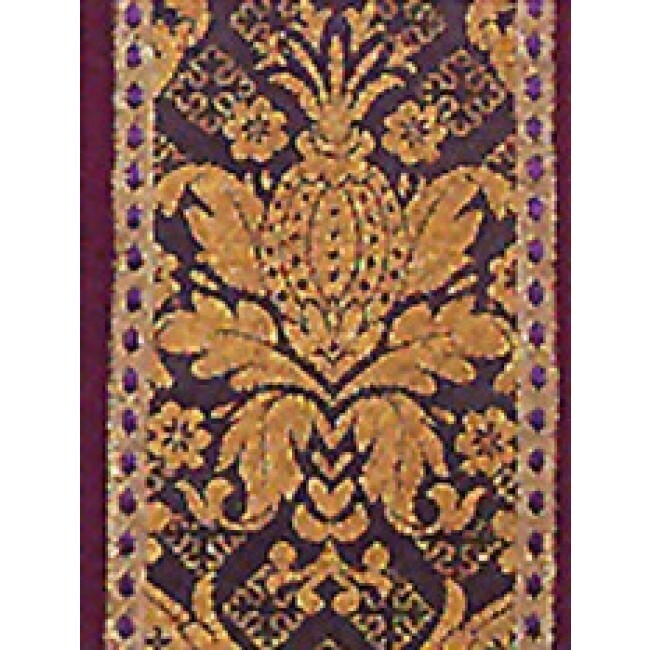 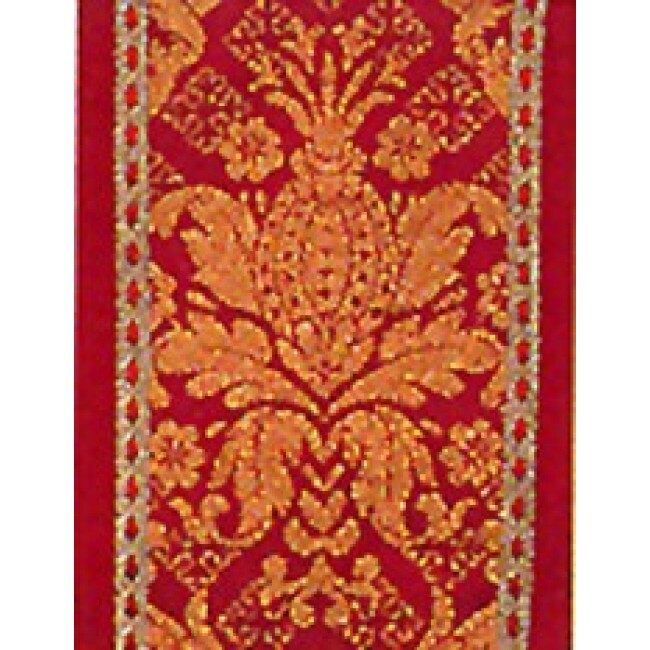 Wrinkle free textured polyester fabric, in your choice of color, is the background for this beautiful non tarnishable metallic gold brocade, trimmed with galloon (narrow braid). 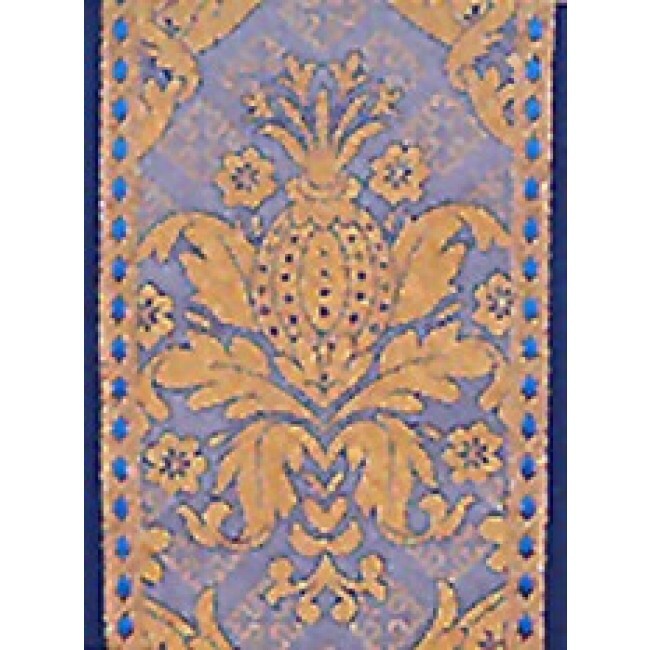 Beau Veste brand colors available: Purple, Green, Blue, Red and Gold (shown). 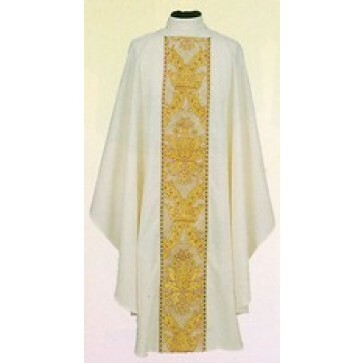 Matching chalice veil and 3 ½" rolled collar available for additional cost.